* Gates are able to ship via UPS Ground. Multiple units may need to ship via an LTL common carrier due to weight constraints. 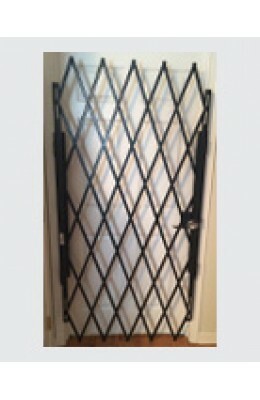 All door gates include a locking bar. 48"w x 61"h Door Gate..
48"w x 63"h Door Gate..
48"w x 66"h Door Gate..
48"w x 68"h Door Gate..
48"w x 71"h Door Gate..
48"w x 73"h Door Gate..
48"w x 76"h Door Gate..
48"w x 79"h Door Gate..
48"w x 81"h Door Gate..
48"w x 83"h Door Gate..